Matur Maker wants to join his brother in the NBA. THE NBA is about to meet its Maker - for the second time. Just like his older brother Thon, Matur Maker is determined to make a splash in America and join the ranks of basketball's elite. The younger sibling of the Milwaukee Bucks star declared earlier this year he was skipping the college route and heading straight to the NBA Draft in June. The Bucks shocked the basketball world by selecting a raw Thon with pick No. 10 in the 2016 Draft and Matur will be hoping he's the beneficiary of a similar leap of faith from one of the 30 NBA franchises. At 20-years-old, Matur has taken his first step towards winning a spot on an NBA roster since announcing his intention to nominate for the Draft in January. On Wednesday (AEST) he completed his first pre-Draft workout with the Minnesota Timberwolves and according to his guardian and mentor Ed Smith reportedly did his stocks no harm. A 208cm power forward with a wingspan measuring 220cm, Matur certainly has the physical attributes to establish himself as a genuine threat at a professional level. And according to his brother, he's got the right attitude to boot. "He's a winner, he's a big-time competitor, he works hard, he can shoot the ball, pass the ball, dribble the ball and he's got a lot of energy, non-stop," Thon said of Matur in February. "He talks a lot on the court as well, he's like an extension of a coach. "If you've ever been against him I guarantee you will lose that fight. "He's always on the attack ... he's (got) the speed and quickness." 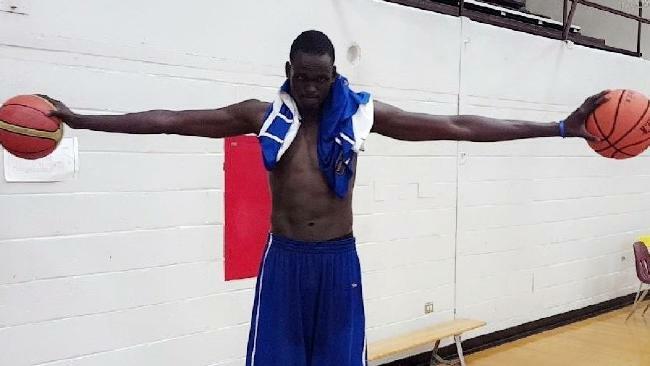 Born in Sudan before moving to Australia, both Thon and Matur played for high schools in Canada - Thon for Orangeville and Matur for Mississauga Prep. Writing for Sports Illustrated in January, Jeremy Woo was full of praise for the younger Matur's athleticism after seeing him in action. "Maker shares his brother's quick-twitch athletic fluidity and possesses a thicker (though slightly shorter) frame," Woo wrote. "When he runs the floor hard, it's impressive to watch. "His skill set is imperfect but no less intriguing: he spent time bringing the ball up the floor and on multiple occasions was able to grab a defensive rebound and go coast to coast for dunks. "On the defensive end, he brings some versatility, able to sit down in a stance and move laterally. He had good moments as a shot-blocker, though he may not have the timing or length to ever anchor a defence." 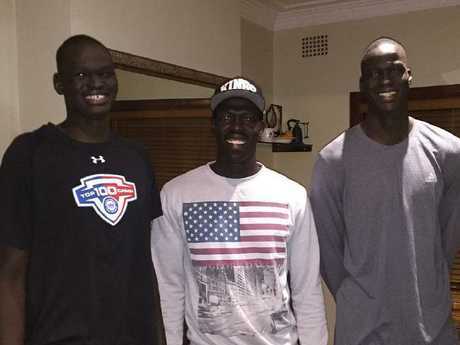 Matur (L) and Thon (R) with AFL star Aliir Aliir. Matur shares a trait with Aussie superstar Ben Simmons in that there are questions over his jump shot, but he's got time on his side. "Though, like his brother, he remains a work in progress, it's evident the younger Maker will be worth following closely in the run-up to June's Draft," Woo wrote. Smith, who coached the young gun at the Canadian International Basketball Academy (CIBA), believes his ability at both ends of the floor is one of his most attractive selling points. "Versatility on both ends," Smith told 247 Sports earlier this year when asked about Matur's strengths. "Versatility on the defensive end and on the offensive. The ability to guard. He has a very good mid-range pull-up and a spot up three from the corner. He's so fluid in getting to the hole and going down hill." Matur has performances on the board to back up the glowing praise. Representing the Asia Pacific side at the 2017 Adidas Nations, he led the field in scoring, averaging 20.6 points a game. The week after revealing he would enter June's Draft, he dropped 45 points with 19 rebounds for CIBA in front of 30 scouts sizing up his worth as a pro prospect. But he knows he's far from the finished product. "At 6-10 I could be a better defender," Matur said after that performance. "Offensively, I'll be hard for people to guard … I'd just have to get used to the range, but that will come in time." 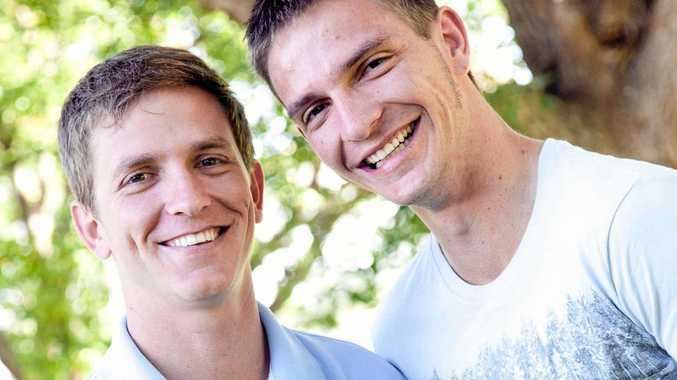 Matur could do worse than aspire to emulate his big bro. Thon made his mark in Game 3 of the Bucks' playoff series against Boston this year when he came off the bench to finish with a postseason career-high stat sheet. In just 24 minutes he exploded to score 14 points and rack up five rebounds and five blocks in a performance that reminded everyone just why Milwaukee took the plunge with him in the draft two years ago. It's that sort of performance we may see more of from both Makers if the youngest member of the family gets his chance.